For a long time now, chocolate’s nutritional values as well as its health benefits have been known and appreciated around the world. Until the 19th century, chocolate was sold in pharmacies as a reliable roborant. 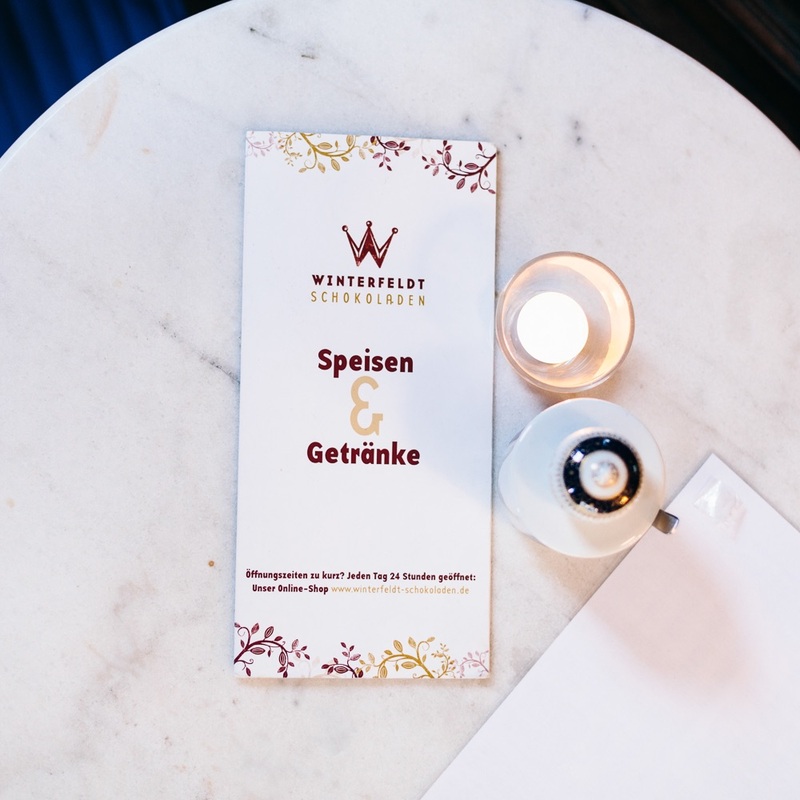 Hence, Natasha Kespy could not have chosen a more fitting location for her Winterfeldt Schokoladen. 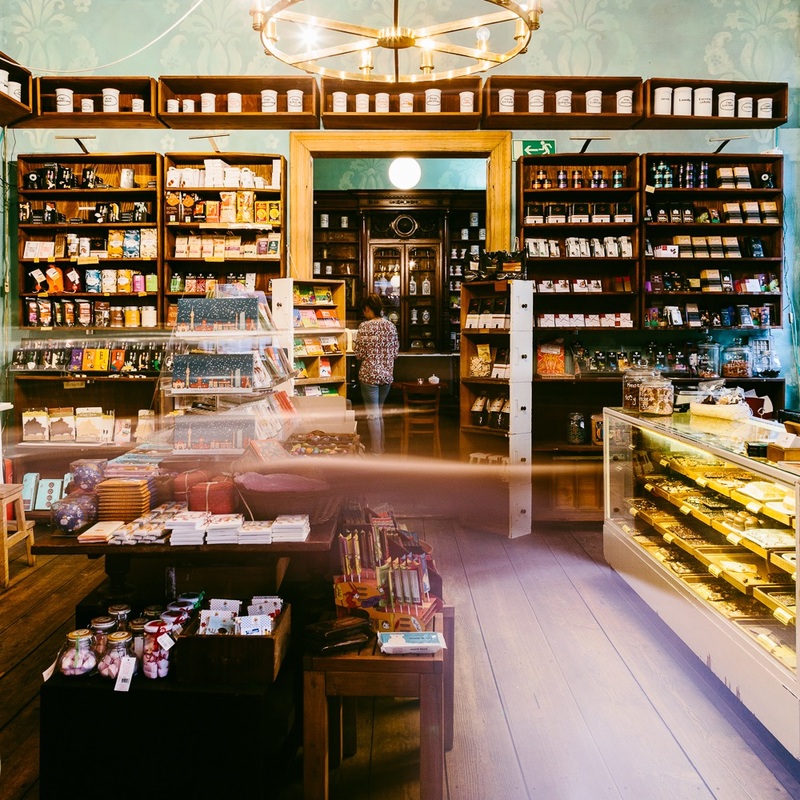 When I first enter this former pharmacy, I am left speechless by its original interior dating back to 1892 and the countless chocolate bars adorning antique wooden shelves. The air is filled with the scent of coffee and cocoa. 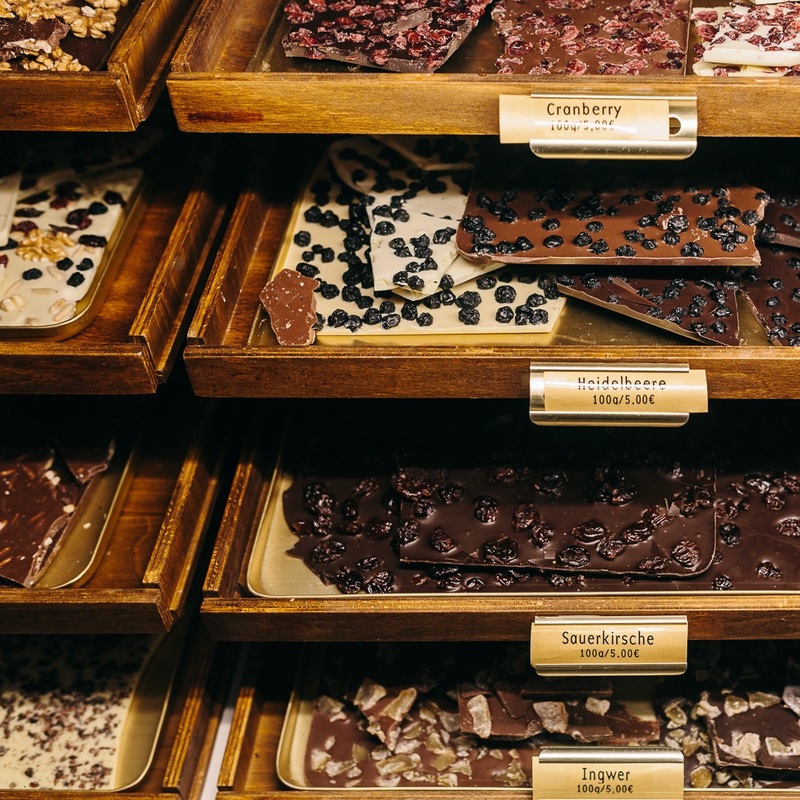 You can find more than 1000 different kinds of chocolate, even the drinking menu comprises twenty kinds of drinking chocolate – anything from Italian, French, Spanish or American chocolate topped with a handful of marshmallows. Along with your drink you can choose from a small variety of handmade baked goods: from walnut tarte and classic brownies to vegan and gluten-free pastries. 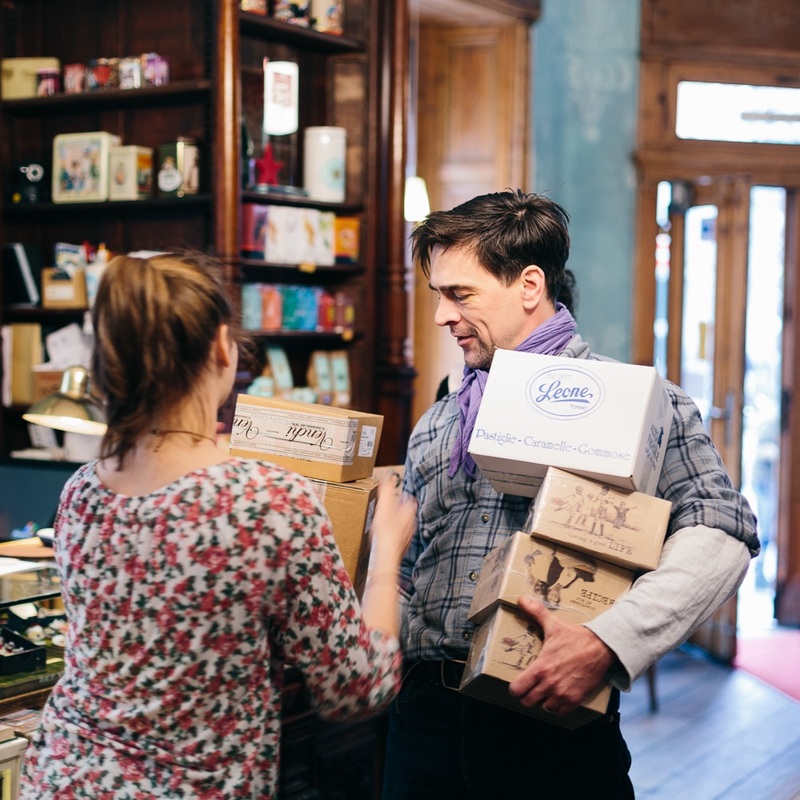 Former actress Natascha Kespy started out with a smaller store focusing on chocolate in 2005. It expanded quickly and soon she began looking for more spacious premises to add a complementary café to her concept. 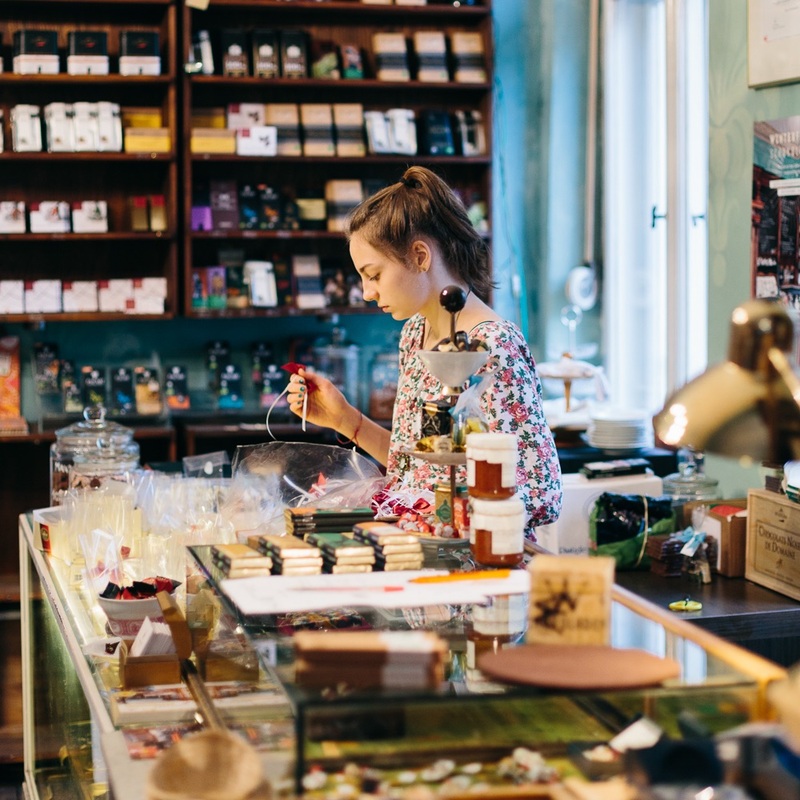 When she found this old apothecary among the listings, she knew it was perfect for her so she decided to fight for it for months until she could finally open its doors in 2009. Wiener Brot - Sarah Wiener is baking for Berlin! With very few exceptions, such as the marzipan by Mamma Andrea from Palermo, she focuses entirely on all things cocoa. Winterfeldt Schokoladen is Germany’s exclusive distributor for French manufacturer ‘Pralus’. 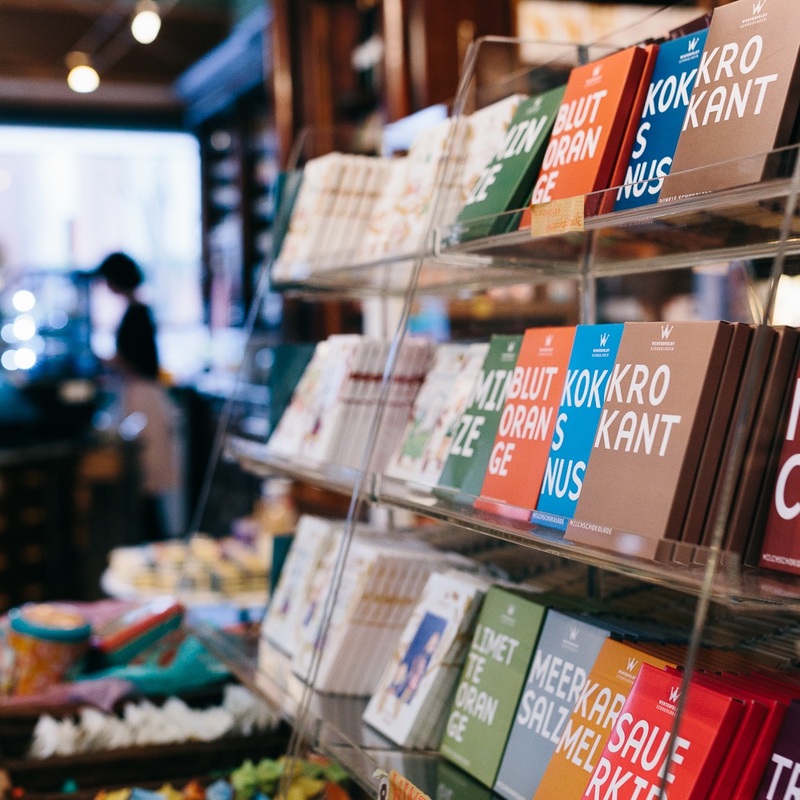 Products by ‘Venci’ and ‘Valrhona’ as well as Berlin chocolatiers ‘Belyzium’ and Belgian producer ‘Dolfin’ are also available in store. So are the world’s best chocolate marshmallows by Bremen’s Mayer Junior, who much to many customers’ chagrin go into an annual summer hiatus. Besides exquisite classics, you will also find allergen- or sugar-free, raw or even Pacari’s kosher chocolates. Her most unusual concoction says Kespy, is the "pig’s grape": caramelized greaves mixed with hazelnut nougat, combined with grapes and coated with milk chocolate. Wow! 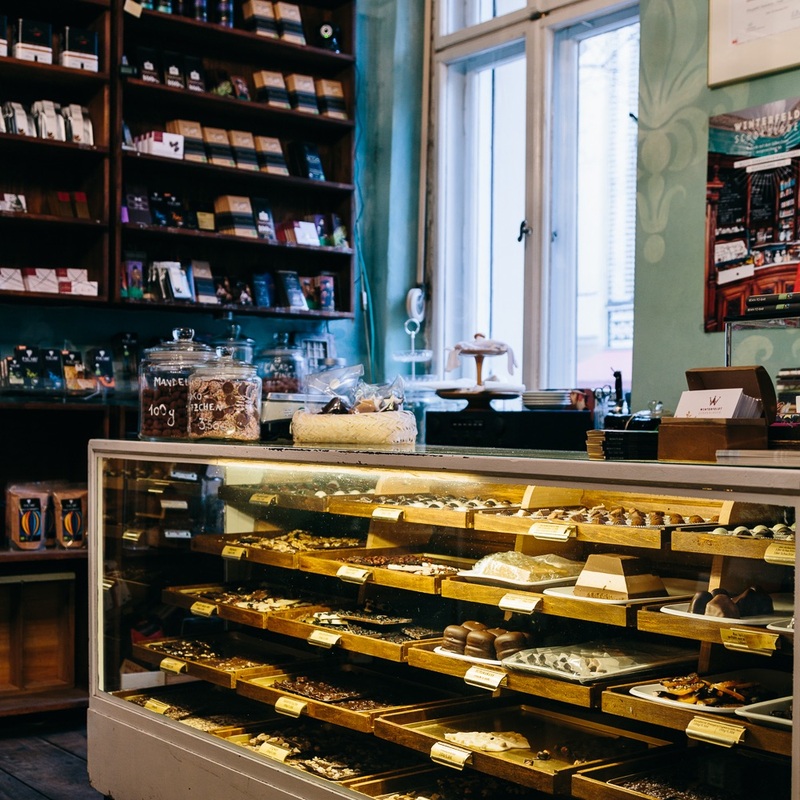 The old counter displays an array of broken chocolate of their home brand and pralines from around the world. The packaging comes in form of tiny handmade Nepalese boxes. 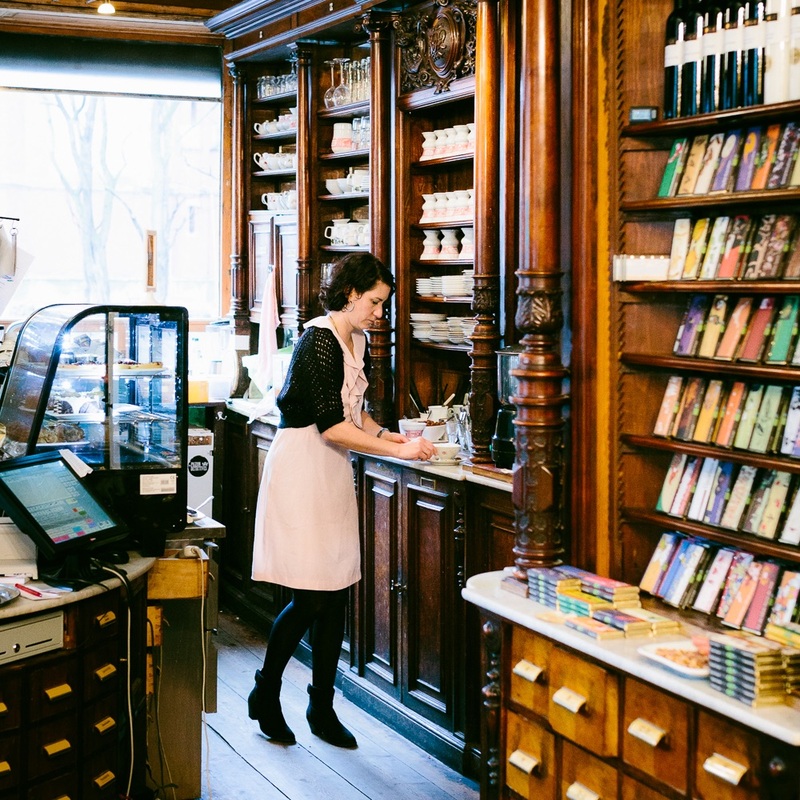 After what felt like hours, I leave this store thinking of the manifold stories on chocolate and its makers, and a bag filled with the best kind of dark chocolate. "Oh, what a store!"